The Doerre Intermediate Parent Teacher Organization is pleased to announce the availability of scholarships. 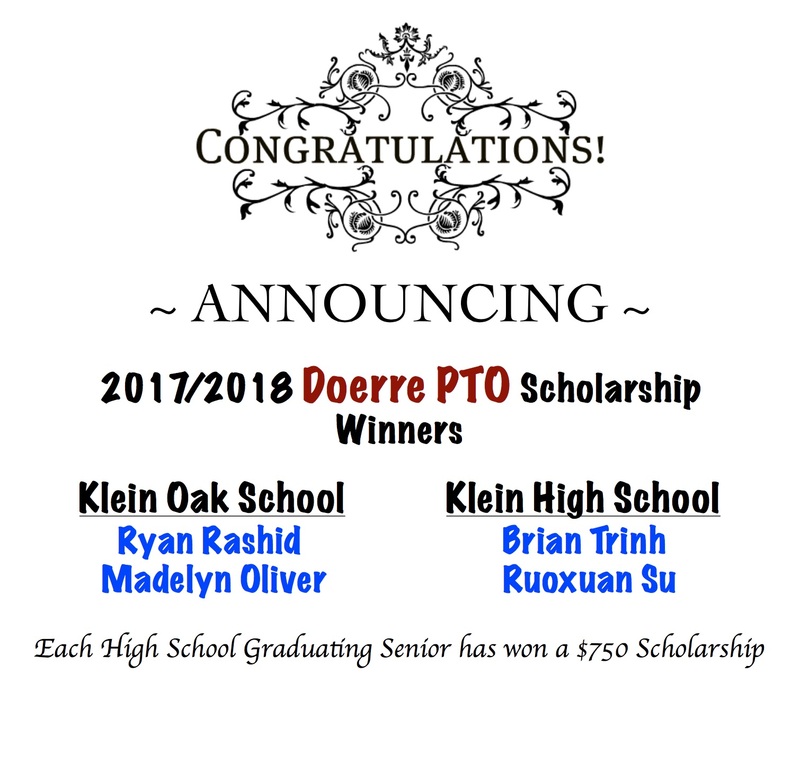 We are offering two (2) $750.00 scholarships to current seniors at Klein High School and at Klein Oak High School. The four (4) recipients of these scholarships, two seniors from each high school, will be announced on May 17, 2019. Deadline for application is May 3, 2019. Please see the Scholarship Application link for more information.